Magic happens when smooth curves meet straight lines. 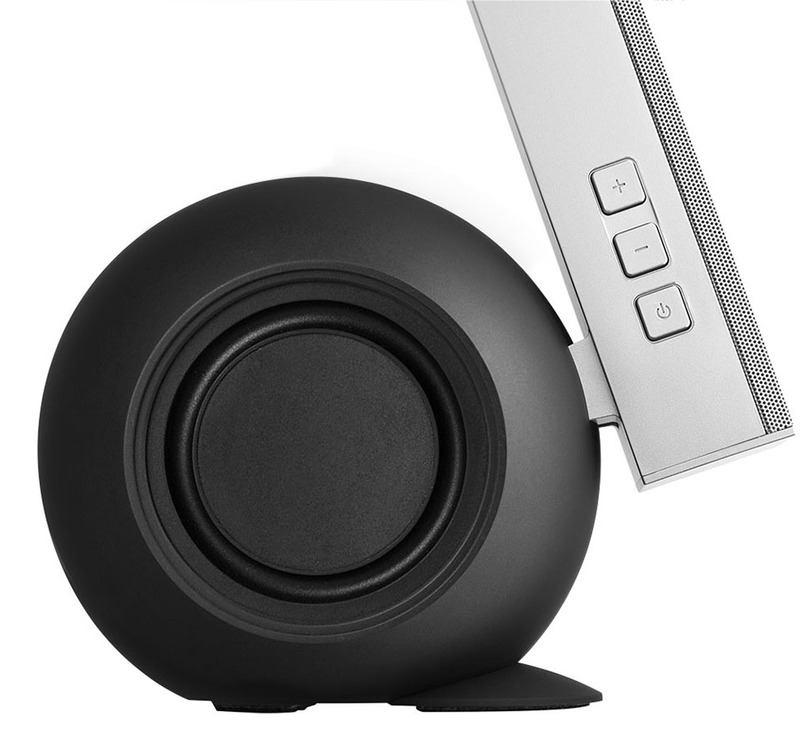 Producing crisp highs and mids while delivering rich lows, the e10 Exclaim compact computer speakers are ideal for PC/laptop audio. 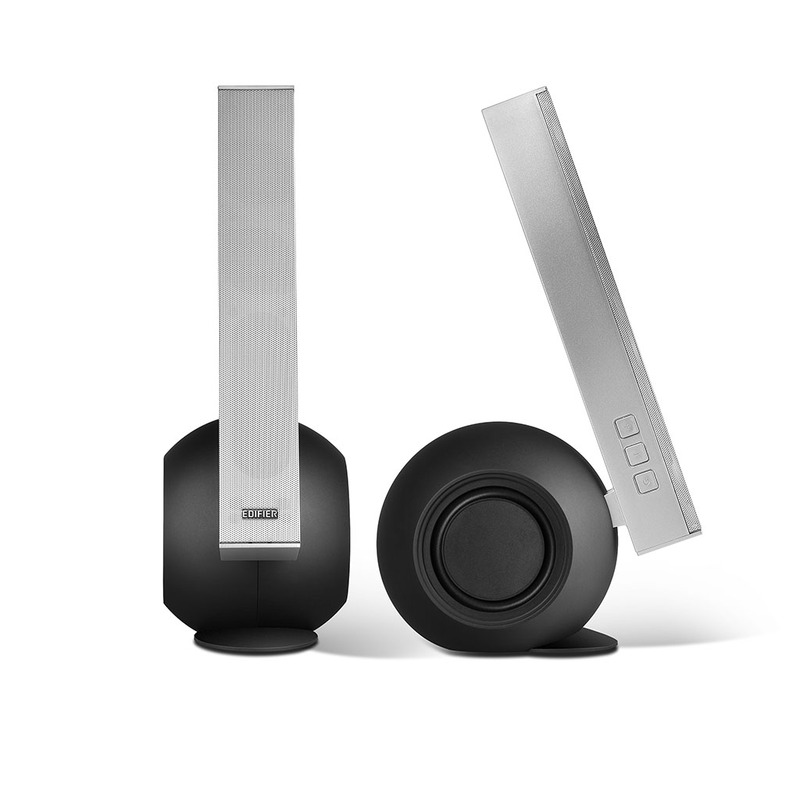 With a unique look that seamlessly blends smooth curves and straight lines, this bookshelf speaker is also the perfect accessory for your desktop. Each satellite houses 3 active speaker drivers and 2 passive radiators, maximizing audio performance. The upper section of each satellite contains two 1½" midrange/tweeters and a 1½" by 3" passive radiators. While the base section contains a 3" woofer and a 3" passive bass radiator for rich, powerful bass. Exclaim speakers incorporates an arsenal of technology to provide the best PC/laptop audio experience. The bi-amped bookshelf speaker system packs an unexpected punch. With each speaker unit being driven by its own internal amplifier. The Digital Signal Processing (DSP) technology delivers active crossover frequencies and superb tonal balance, even at high volumes. While the Dynamic Range Compensation (DRC) technology keeps any possible distortion at an absolute minimum. 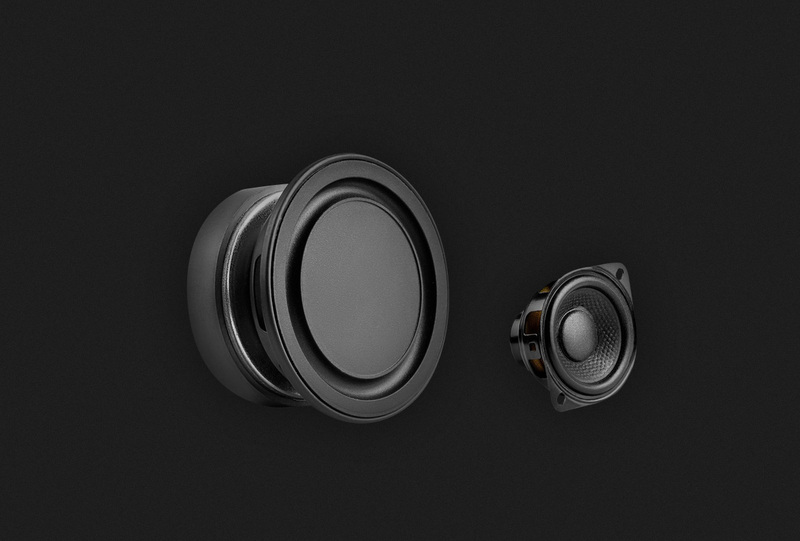 Exclaim is a versatile and simple to use speaker system with extraordinary sound. 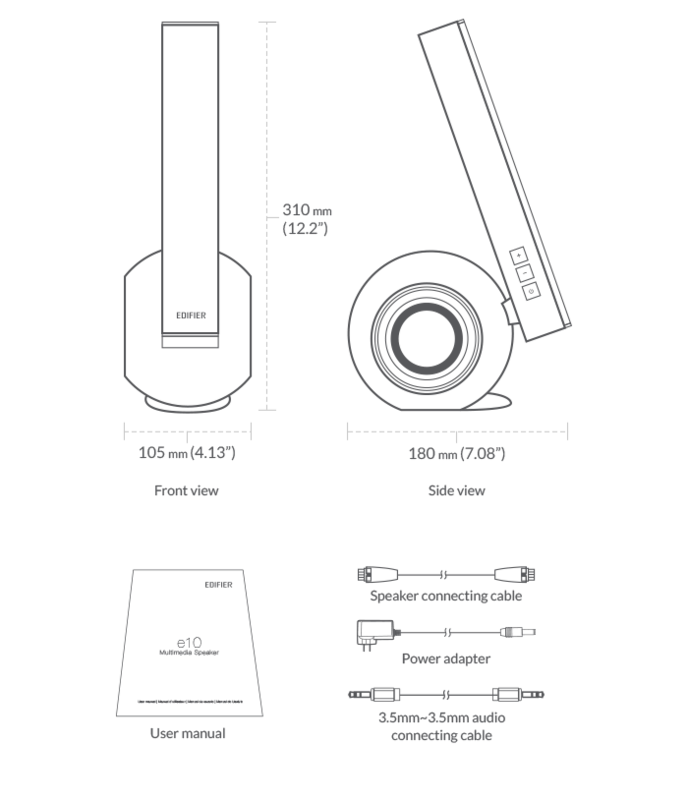 In addition, two passive radiators are utilized in the midrange/tweeter housings to raise efficiency and dynamic range, plus two supplementary passive radiators to augment deep bass and performance from the woofers. A combined 36 watts RMS of power is on hand to drive a total of 6 internal active speakers. 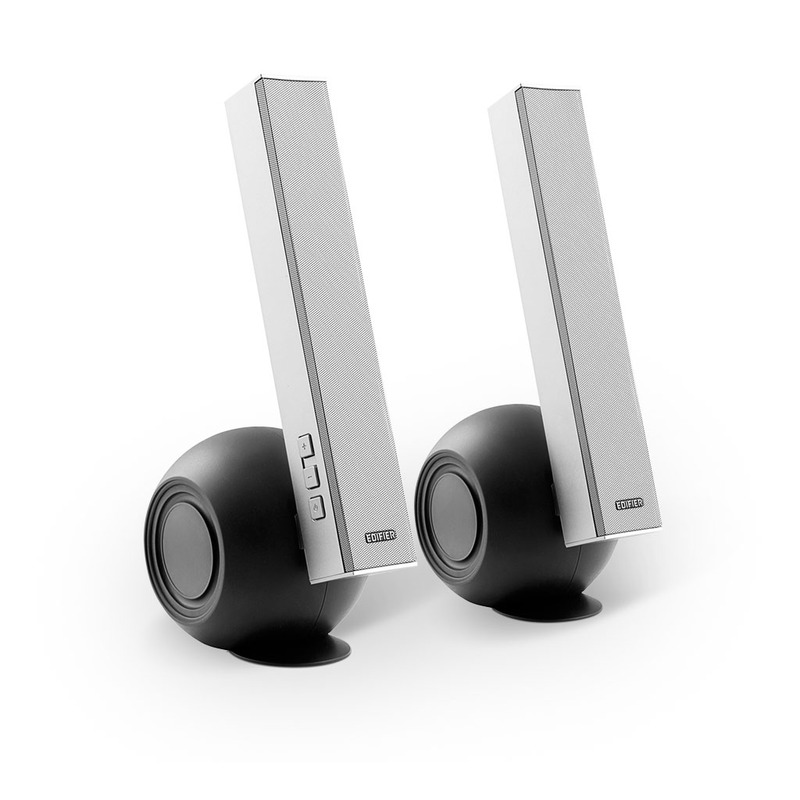 Built in Volume and power/standby control buttons are conveniently located on the side of the speaker. The controls on the e10 Exclaim computer speakers are easy to use and accessible. 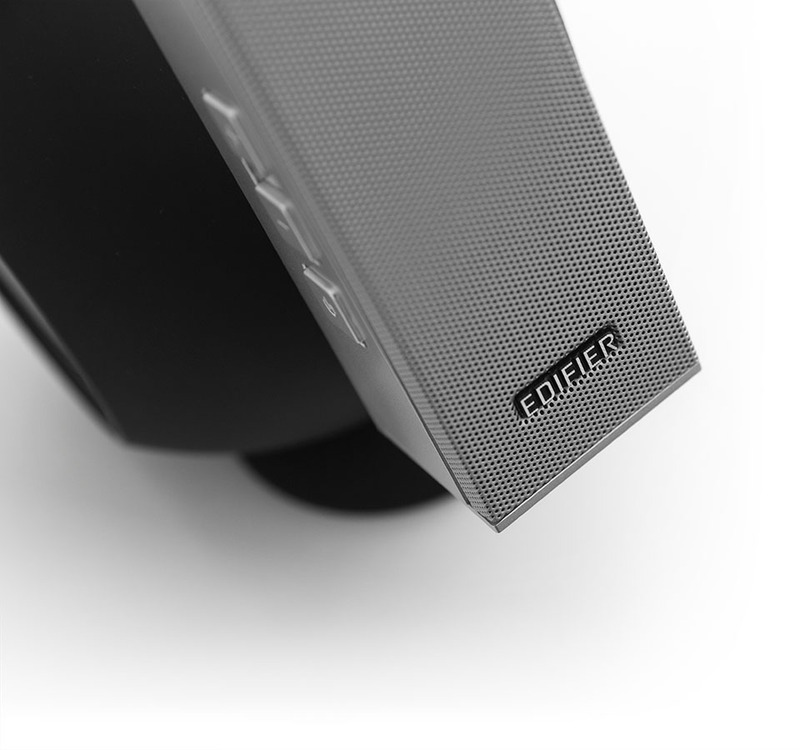 Edifier makes sure to keep the user experience as comfortable and easy going as possible.